I don’t want to call Storm Reid the new “It Girl” of Hollywood because I believe she is so much more than that. I believe that Storm has sustainability. I believe that Storm has grounded herself firmly into our platform and she can’t be defined by a singular movie or trend or phase. She just is. Storm Reid is here to stay. During our Wrinkle in Time press junket, there were specific things I noticed about this 14-year-old young women. She was gracious, kind, respectful, and proud of her part in this new Disney production. As she should be. As lead, she took us on quite the journey! A journey I hope many of my friends and peers take with their tweens and teens on during opening weekend. 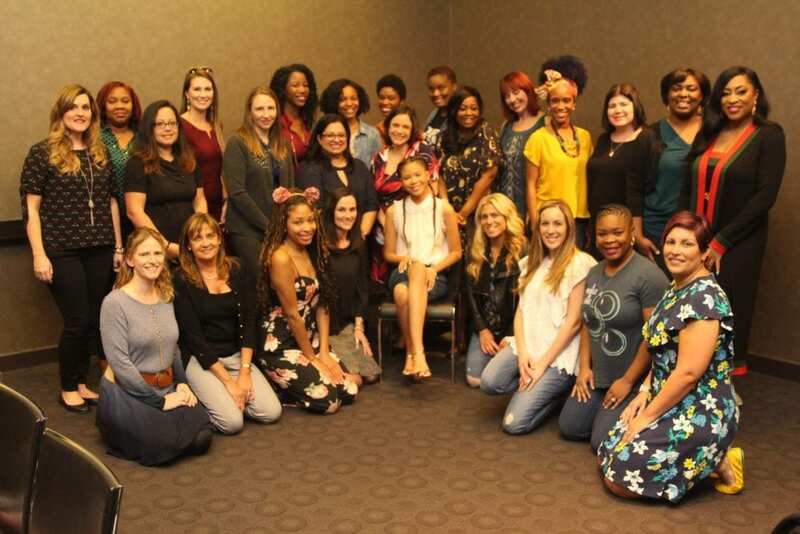 To love yourself is to know yourself … and I am so thankful that I had the chance to get to know Mrs. Storm Reid. We didn’t have a tremendous amount of time with the actress. So, we did what we could to ask as much as we could about how this new release has affected her. Her answers were so endearing. They just made me love her more. It means everything to me and it’s very empowering for me still as a young girl being able to represent the little girls that look like me and being able to give them hope and know that they can have any opportunity they want to have. They can do anything no matter their big hair or their big nose, as people say, or their glasses or their skin tone. They can do anything. So, for me able to be that for them and to uplift them and empower them in a time like this where everybody’s so divided and it’s so dark…it means a lot. I think it’s important for these conversations to be had in public forums because they truly make you think about how you consume media and how you might not notice things that others might hurt from seeing. Are multicultural leads represented in today’s media and have I ever thought about that before? When we talk about inclusion, my mind always turn towards certain demographics, but during this conversation it had me thinking on a much wider scale. Mindy also noted something very similar to this. Are there any Indian American bloggers out there that she could support and are they getting support from the rest of the community? Had I ever thought about that before? A quiet but a very powerful moment for me. I silently soaked it in. This is why we all need to keep talking to one another. This is why we all need to keep traveling and exploring. We need to keep sharing moments – the good and the bad. Education and change don’t happen overnight. Growth comes in waves but there’s no turning back once it happens. I guess you could say that I am thankful to have been in that room to hear that quote from Storm because now I am much more aware – as a mother, as a purchaser, as a supporter, as a human. And I wasn’t the only one learning from A Wrinkle in Time! 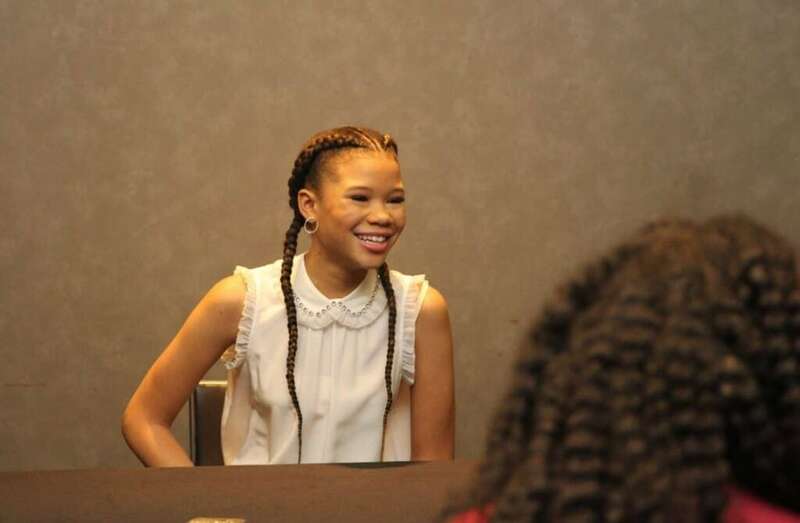 Storm Reid said that she had a few takeaways from being on set with the fantastic trio. I learned – from each and every one of them – constant graciousness, because they are just so amazing and so empowering. They’re these “A List” stars, but they don’t act like it. They are so grounded and so humble. I just love them. And then Miss Oprah told me don’t waste energy on things you can’t change in life when you can be using that energy on something positive in your life. I’m glad that I have them in my corner to pour into me and just be around me, because they’re amazing women. 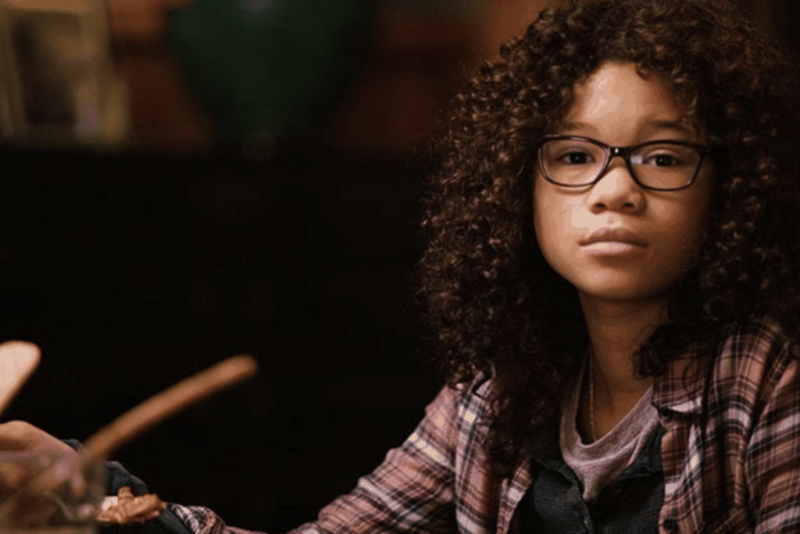 Storm Reid also admitted that she learned a few things from playing Meg on the big screen. I wouldn’t say I learned anything different, but I did learn that I am enough. Of course, my mom taught me that and instilled that in me, and I’m pretty confident. But just being Meg and experiencing that and going through that journey with her where she doesn’t feel that way about herself and she has to embrace the light from within to become that, it really helped me do the same and really reassure that I was enough and that I am worthy of being loved. I do have faults and challenges, but that can’t stop me. I feel like that was the biggest lesson I learned. I say that me and Meg grew up together because Meg is growing through the journey and then I was her, and I was growing as Storm as a teenager. We had to ask about what moment she enjoyed the most as well. What scene made the most impact? I have my personal favorite and it wasn’t the one Storm Reid shared. However, I can absolutely understand why Storm Reid chose the following. I think my all-time favorite scene would have to be when Meg reunites with her father, ’cause it is so emotional and so powerful. I mean Meg has been without her father for four years. She’s had to grow up. She’s had to become this teenager with bullying and with all the bad things that are happening in her life. She said if she could find her father everything would make sense again – and that’s when everything started to make sense. Even though she was angry and she didn’t understand why he left, she would figure that out in the end and everything would get better. It was a really great scene! Looking forward to talking more about the movie. Stay tuned! For now – check out the trailer below. 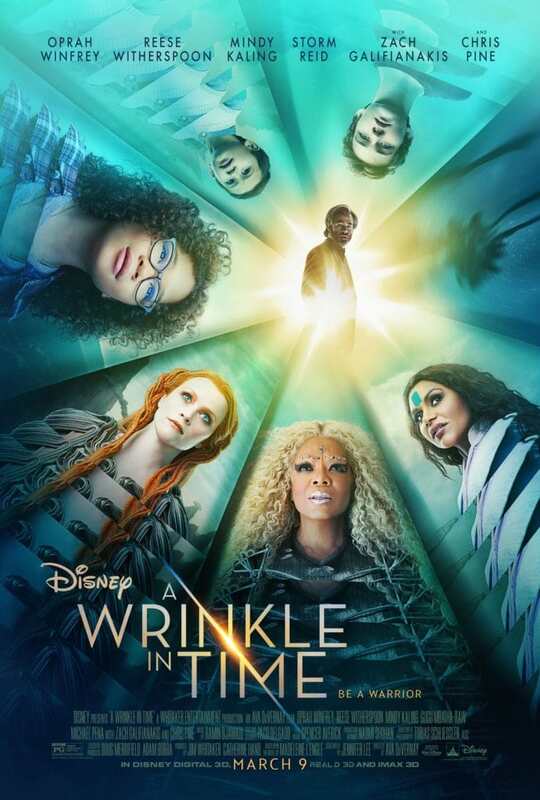 Are you gearing up to see A Wrinkle in Time? Did you read the book? Are you a fan of Storm Reid? Would love to hear! 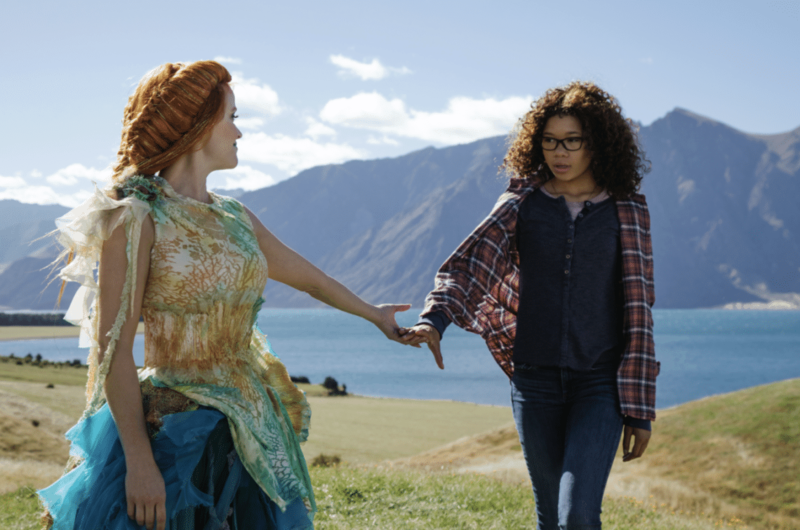 A Wrinkle in Time releases in theatres on March 8th. *Disney flew me out to the LA premiere of A Wrinkle In Time. Travel and accommodations were paid for. All opinions are my own.